Home News Woman Meets Her Daughter For The First Time After Waking From A Seven-Year Coma! Woman Meets Her Daughter For The First Time After Waking From A Seven-Year Coma! There is no better way to describe a miracle as a young woman surprised doctors and the world when she woke from a seven-year coma. 25-year-old Danijela Kovacevic, from Vojvodina, Serbia, had fallen ill after suffering a traumatic labour in 2009. 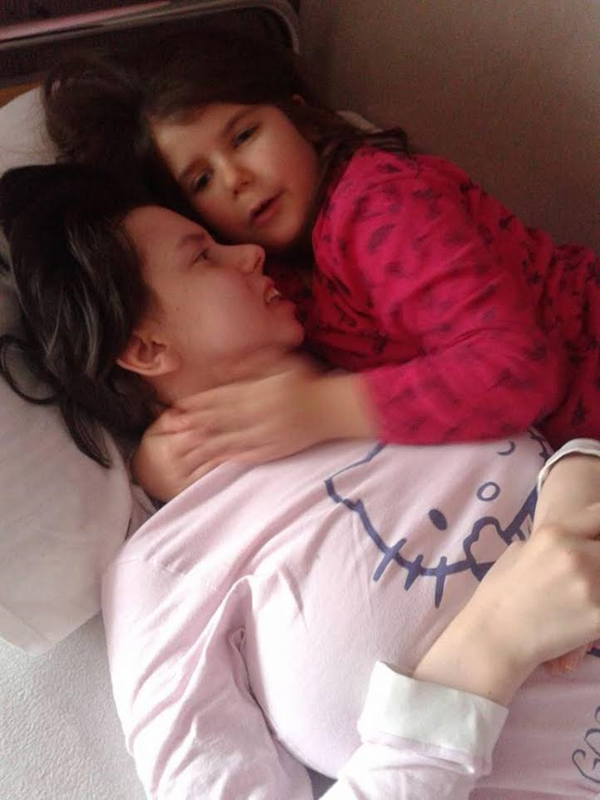 She contracted sepsis while giving birth to her daughter Marija and was left in a vegetative state, but surprisingly, seven years later she woke up, surprising Serbian doctors who have never seen anyone survive after being unconscious for that long. Her health is improving and she has met her daughter who is seven-years-old now. The woman's father grateful for his daughter's new life spoke about how well she is improving. He revealed that she is now able to hold a tablet and pen. "These are minor recoveries, but Danijela is much better that before. She has put on weight, she is more aware and more alive. She reacts, smiles and also gets angry. That is because you are teaching a kid to do certain things. She had very hard trainings. She walked 800 metres and that is a big achievement." A family friend said: "After school, Marija is close to her mama every day. She comforts her, makes her laugh and does not give up the hope that she will touch her and embrace her." Ms Kovacevic is currently recovering at a rehabilitation centre in Pforzheim, Germany, but needs 50,000 Euros (£43,000) for her treatment to continue. Her family and friends are trying to raise the money. They organised a competition in taekwondo and all the money raised was set aside for Danijela’s recovery.